Ah! 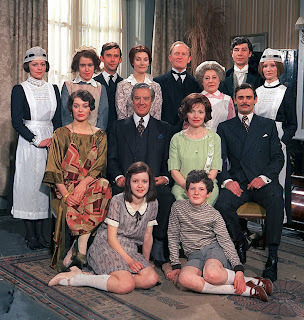 The last series of the original Upstairs Downstairs! 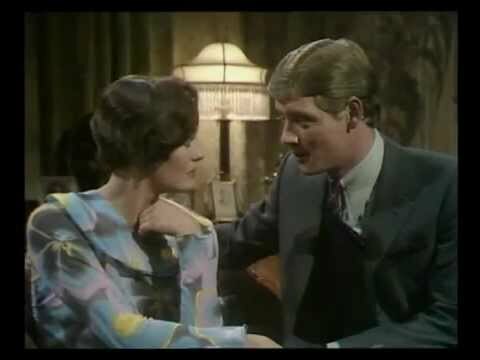 I'll admit that when I first started watching Upstairs, Downstairs, I wasn't all that impressed with it: I wasn't fond of the characters, the story, etc. But after watching it, I grew to really like it. I think that by Series 3, many of the problems from Series 1 and 2 were fixed and the show started getting good. And now that's all over. I feel a little sad, but I'm glad that the show improved so that I could like it. Note: This review of Upstairs, Downstairs will contain spoilers from Series 1, 2, 3, and 4. If you have not seen any of the previous series and do not want to run into spoilers, you may want to wait before you read this review. I suggest that you read my Series 1, Series 2, Series 3, and Series 4 reviews first before watching. Changes have occurred at 165 Eaton Place in the years after the war. Richard Bellamy has since married to Virginia Hamilton, a widow with two small children, and has become a Viscount. Georgina Worsley, Richard's ward, after working as a nurse and seeing the horrors of the first world war, is determined to never become attached to anything and has taken to going to parties. James Bellamy is trying to adjust to his life as a widower after the death of his wife Hazel at the end of the war. Downstairs, Daisy and Edward Barnes return after leaving 165 Eaton Place to find better work (but cannot find any). Like the other series, the main cast has pretty much remained the same with some additions. Hazel Bellamy does not return in this series, having died of Spanish flu at the end of Series 4. The one main cast member I recognized was Jean Marsh as Rose Buck, who also appeared in Sense and Sensibility (2008) as Mrs. Ferrars. A minor cast member who appeared late in the series that I recognized was Anthony Andrews as Robert, Marquis of Stockbridge, who also appeared in The Scarlet Pimpernel (1982) as Sir Percy Blakeney. Virginia Bellamy, Richard's new wife, and her children enter into the cast for the final series. I think, comparing Virginia to Richard's first wife, Lady Marjorie, I think I like Virginia a little bit better. And the addition of her kids, Alice and William, was pleasant and didn't monopolize screen time. There were a couple of episodes that were about both or either of Alice and William that were interesting to watch. It would have even been nice to see more of them (not too much, though), but overall, they were a good addition. Georgina becomes more likable in this series, though she can be a bit frivolous. Though James is still in love with her, Georgina has backed off from him, which was probably for the best. Georgina spends a lot of time in Series 5 recovering from the war in that she does frivolous things to try to forget that the war happened. She does find happiness at the end of the series and "grows up". James, on the other had, does not meet a happy ending. He also had to cope with the effects of the war and also the death of his wife, but it seemed that everything just spiraled out of control for him, especially when he began to make really bad decisions that only hurt him. As much as I liked housemaid Daisy the previous series, I didn't care for her much in Series 5. Edward was still likable, but Daisy became very pushy in this series. I know her and Edward were down on their luck early in the series, but even when they began work again with the Bellamys, she was still pushy. It seemed like all she was concerned about was pushing Edward career forward, which got annoying quickly. I mean, honestly, I was on hers and Edward's side when they were at odds with new footman, Alfred (who was a jerk to say the least), but still Daisy was a little annoying. Now that the war is over, the Bellamys have to adjust to life after the war. Early in the series, 165 Eaton Place still has some rooms closed off, but once Richard and Virginia decide to make their home there (though James is the master of 165 Eaton Place), the rooms open up and are redecorated with more "modern" furnishings. The servants hall is much the same as it has been. While there are a couple of scenes that take place in places other than 165 Eaton Place (for example, in country houses), the majority of Series 5 takes place at 165 Eaton Place. The film quality is about the same as the other series: not the greatest since it was a 70s production. The costumes are better than last series since WWI ended. The dresses are much more decorated and pretty (though I'm not a fan of 1920s fashions). You can see the difference in dress in both the Bellamys upstairs and the staff downstairs. All the ladies have had their hair bobbed instead of having their hair long and in a bun. The skirts also get shorter as the series goes on until the hem hits the knee towards the end of the series. The men pretty much wear similar clothing as in previous series (let's face it, men's fashion doesn't change too drastically). The uniforms of the staff have changed in that the hem line is shorter than previous series. The caps that the maids wear have also changed and almost resembles a head band that goes across the forehead. I'm sad that it's over... Series 5 was definitely an improvement from the first series. The show has definitely come a long way. I wouldn't say that Series 5 was better than Series 4, but it was still very good! The series ends pretty nicely in that there aren't really any loose ends (plenty of chances for spin-offs, though.). I wish that it could have ended a little happier, though, but it did end off nicely and you don't necessarily wonder how a particular story line will end. 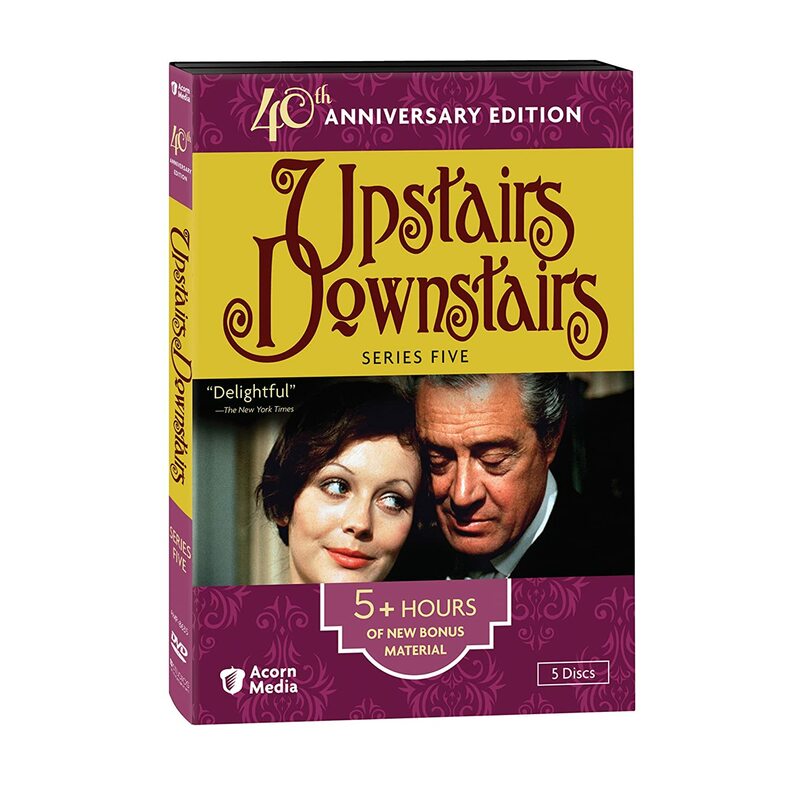 Upstairs Downstairs: Series 5 is available on DVD. It is made up of sixteen 50-minute episodes and is the final series of the original Upstairs, Downstairs. I'm glad that I watched Upstairs, Downstairs! Yes, the first two series weren't so great (okay, they were pretty much duds), but the show greatly improved starting in Series 3. I think that the show improved in Series 3 because a lot of the unlikable/indifferent characters were "weeded out" and we were left with a collection of characters we could like and their storylines were expanded so we could really get to know them. As much as I like Upstairs, Downstairs, though, I think when comparing it to Downton Abbey, Downton Abbey is still the better show, but Upstairs, Downstairs is a worthy watch and I'm not sorry that I watched it. Thank you for visiting Elegance of Fashion. If you wish to leave a comment, please do. I ask that you refrain from bad language and are polite and constructive. If you are posing under "Anonymous", if you could leave a name, that would be great! I reserve the right to delete any comments that I deem family unfriendly. Thank you very much and please come again. Which do you prefer for the Elegance of Fashion header/banner? Link Back to Elegance of Fashion? The original blog of period dramas, sewing, and more! My reviews are mostly my opinion of a particular movie/miniseries/etc. You are free to disagree with my views, but please respect them. Elegance of Fashion is a family friendly blog. If you submit any content that I deem to not be family friendly, I reserve the right not to publish your content. The Banners that I make on this blog are made by me. The pictures that I use (screenshots, promotional pictures, etc.) are not mine and come from different period dramas.